is the extended family of a monarch. Generally, the head of a royal family is a king or queen regnant. The term “imperial family” more appropriately describes the extended family of an emperor or empress regnant, while the terms “ducal family”, “grand ducal family” or “princely family” are more appropriate in reference to the relatives of a reigning duke,grand duke, or prince. It is also considered proper in some circles to refer to the extended relations of a deposed monarch and his or her descendants as a royal family. A royal family typically includes the spouse of the reigning monarch, surviving spouses of a deceased monarch, the children, grandchildren, brothers, sisters, and cousins of the reigning monarch, as well as their spouses. In some cases, royal family membership may extend to great grandchildren and more distant descendants of a monarch. In certain monarchies where voluntary abdication is the norm, such as the Netherlands, a royal family may also include one or more former monarchs. There is often a distinction between persons of the blood royal and those that marry into the royal family. In certain instances, such as in Canada, the royal family is defined by who holds the titles Majesty and Royal Highness. Under most systems, only persons in the first category are dynasts, that is, potential successors to the throne (unless the member of the latter category is also in line to the throne in their own right, a frequent occurrence in royal families which frequently intermarry). This is not always observed; some monarchies have operated by the principle of jure uxoris. 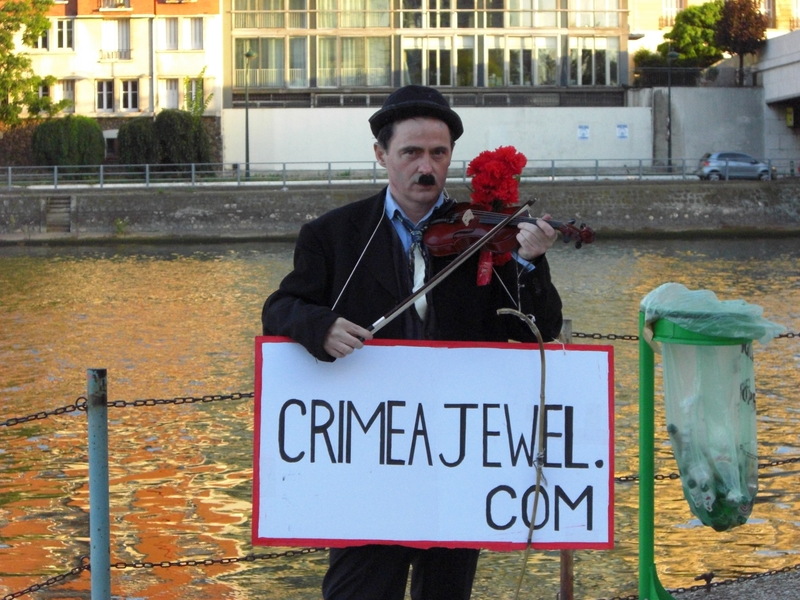 In addition certain relatives of the monarch (by blood or marriage) possess special privileges and are subject to certain statutes, conventions, or special common law. The precise functions of a royal family vary depending on whether the polity in question is an absolute monarchy, a constitutional monarchy, or somewhere in between. In certain absolute monarchies, such as that found in Saudi Arabia or Kuwait, or in political systems where the monarch actually exercises executive power, such as in Jordan, it is not uncommon for the members of a royal family to hold important government posts or military commands. In most constitutional monarchies, however, members of a royal family perform certain public, social, or ceremonial functions, but refrain from any involvement in electoral politics or the actual governance of the country. The specific composition of royal families varies from country to country, as do the titles and royal and noble styles held by members of the family. The composition of the royal family may be regulated by statute enacted by the legislature (e.g. Spain, the Netherlands, and Japan since 1947), the Sovereign’s prerogative and common law tradition (e.g. the United Kingdom), or a private house law (e.g., Liechtenstein, the former ruling houses of Bavaria,Prussia,Hanover, etc.). Public statutes, constitutional provisions, or conventions may also regulate the marriages, names, and personal titles of royal family members. The members of a royal family may or may not have a surname or dynastic name. In a constitutional monarchy, when the monarch dies, there is always a very specific order of succession that indicates the exact order of family members in line to the throne. In some cases, well-known families that are not actually involved in monarchies but are still prominent in government are informally referred to as “royal families”. The best-known example of this is the Kennedy family in the U.S. and the descendents of the Gurjara-Pratiharas clans or “Rajputs” in India. Some royal families have lost their “royalty” by social changes over a long period time. In recent years, many royal families have become increasingly challenged by the media to justify the public expenditure on them. This is particularly so when the royal family is perceived as behaving badly (such as in the case of the British Royal Family; extramarital affairs, and/or refusing to grieve publicly on the death of Diana, Princess of Wales). 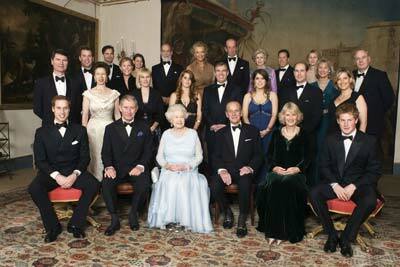 The British Royal Family is the group of close relatives of the monarch of the United Kingdom. The term is also commonly applied to the same group of people as the relations of the monarch in his or her role as sovereign of any of the other Commonwealth realms, thus sometimes at variance with official national terms for the family. Members of the royal family belong to, or are married into, the House of Windsor, since 1917, when George V changed the name of the royal house from Saxe-Coburg and Gotha. 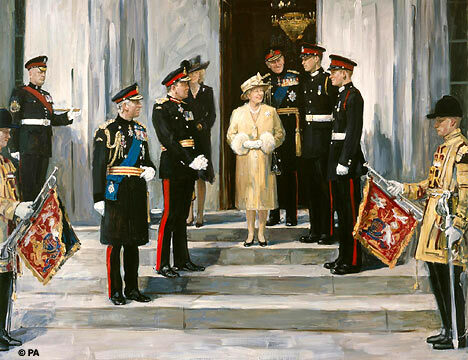 Although in the United Kingdom there is no strict legal or formal definition of who is or is not a member of the Royal Family, and different lists will include different people, those carrying the style His or Her Majesty(HM), or His or Her Royal Highness(HRH) are generally considered members, which usually results in the application of the term to the monarch, the consort of the monarch, the widowed consorts of previous monarchs, the children of the monarch, the male-line grandchildren of the monarch, and the spouses and the widowed spouses of a monarch’s son and male-line grandsons. Members and relatives of the British Royal Family historically represented the monarch in various places throughout the British Empire, sometimes for extended periods as viceroys, or for specific ceremonies or events. 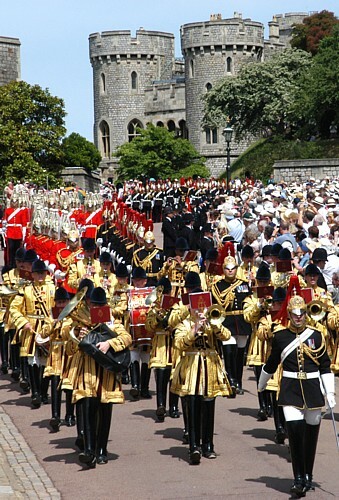 Today, they often perform ceremonial and social duties throughout the United Kingdom and abroad on behalf of the UK, but, aside from the monarch, have no constitutional role in the affairs of government. This is the same for the other realms of the Commonwealth, in personal union with the United Kingdom, though the family there acts on behalf of, is funded by, and represents the sovereign of that particular state, and not Britain. 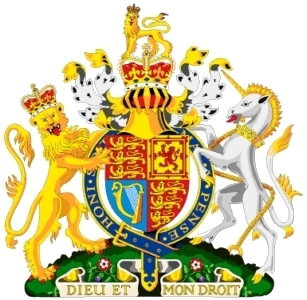 Members of the Royal Family engage in hundreds of public engagements yearly, throughout the United Kingdom, as formally recorded in the Court Circular, to honour, encourage and learn about the achievements or endeavors of individuals, institutions and enterprises in a variety of areas of life. As representatives of the Queen, they often also join the nation in commemorating historical events, holidays, celebratory and tragic occurrences, and may also sponsor or participate in numerous charitable, cultural and social activities. Their travels abroad on behalf of the UK (called State Visits when the sovereign officially meets with other heads of state) draw public attention to amicable relations within and between the Commonwealth and other nations, to British goods and trade, and to Britain as a historical, vacation, and tourist destination. 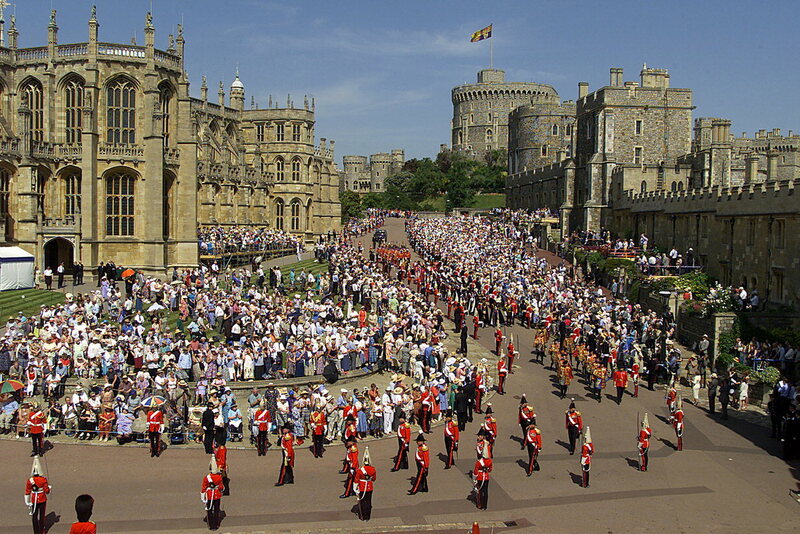 Their presence, activities and traditional roles constitute the apex of a modern “royal court,” and provide a distinctly British and historical pageantry to ceremonies (e.g.Trooping the Colour) and flavour to public events (e.g. Garden Parties,Ascot, ). Throughout their lives they draw enormous media coverage in the form of photographic, written and televised commentary on their activities, family relationships, rites of passage, personalities, attire, behaviour, and public roles. 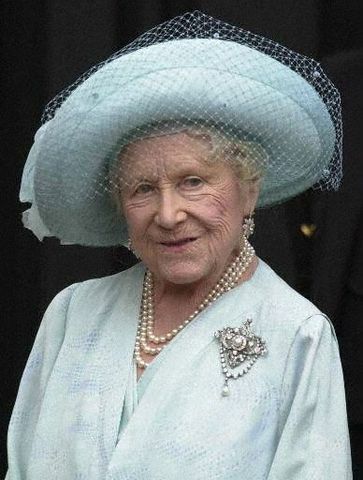 “ I suppose the Morton book was a watershed because finally one was asked to come to terms with the fact that a very prominent member of the Royal Family had done something incredibly foolish, incredibly indiscreet and attempted to manipulate the media for her own ends. Now when this was compounded by the Prince of Wales doing exactly the same with Jonathan Dimbleby and also engaging the Murdoch press in this operation, that at that moment in fact–I did write to the Prince of Wales’s office and I said ‘Hitherto I’ve always tried very hard to run the newspaper for which I am responsible in a way that will be helpful to the institution of the Monarchy and the Royal Family. But from hereon all bets are off.’ Not that one would ever wantonly do the Monarchy or the Royal, the Royal Family any disservice but any notion that one would act against the interest of the paper or keep something out of the paper in order to help the Royal Family has to be off when you’ve half the Royal Family exploiting the media for their own ends and in this particular case actually being willing to flog anything they’ve got to flog to the Murdoch press, who in this case were our competition. So, if they’re not prepared to help themselves, why on earth should any of the rest of us stick our necks out to help them? Monies to support the Queen in the exercise of her duties as head of state of the United Kingdom (the Head of State Expenditure) come from the Civil List. This is a return of a small portion of the revenue from the Crown Lands that are surrendered by the monarch to parliament at the beginning of each reign; all Crown Land being administered by The Crown Estates, an institution that is answerable to parliament. In the 2003-04 fiscal year, the amount surrendered was £176.9 million, where the Head of State Expenditure was £36 million. The Head of State Expenditure does not include the cost of security. 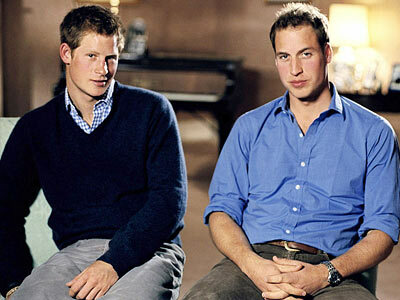 HRH Prince William and Prince Harry. 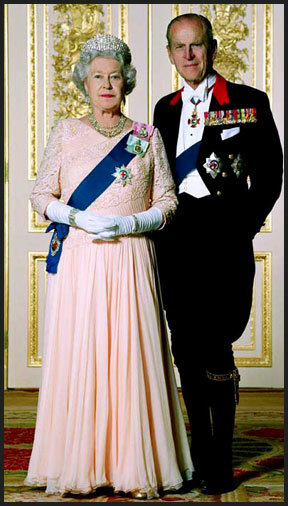 Only the Queen and Duke of Edinburgh receive funding from the Civil List. The Duke receives £359,000 per year. 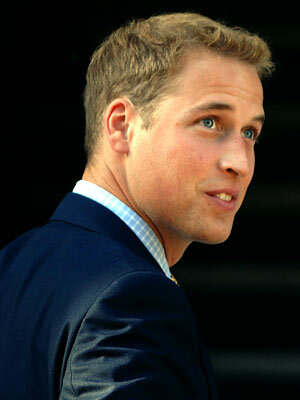 HRH Prince William, heir to the throne. 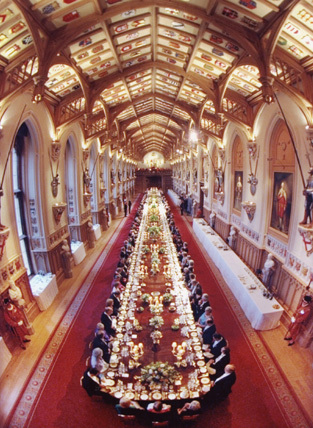 Only some members of the Royal Family carry out public duties; these individuals receive an annual payment known as a Parliamentary Annuity, the funds being supplied to cover office costs. These amounts are repaid by The Queen from her private funds. Though always voluntarily subject to the Value Added Tax and other indirect taxes, the Queen agreed to pay taxes on income and capital gains from 1992, although the details of this arrangement are both voluntary and secret. 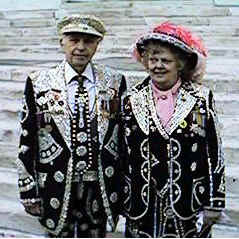 At the same time it was announced that only the Queen and Prince Philip would receive civil list payments. 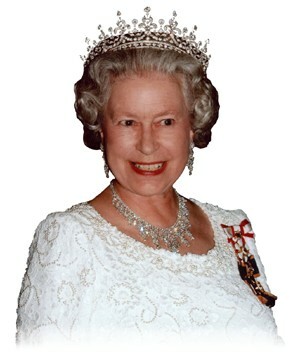 Since 1993 the Queen’s personal income has been taxed as any other Briton. The Queen’s private estate (eg shareholdings, personal jewellery, Sandringham House and Balmoral Castle) will be subject to Inheritance Tax, however bequests from Sovereign to Sovereign are exempt. The style His Majesty or Her Majesty(HM) is enjoyed by a King, a Queen (regnant), a Queen consort, and a former Queen consort (a Queen Dowager or a Queen Mother). 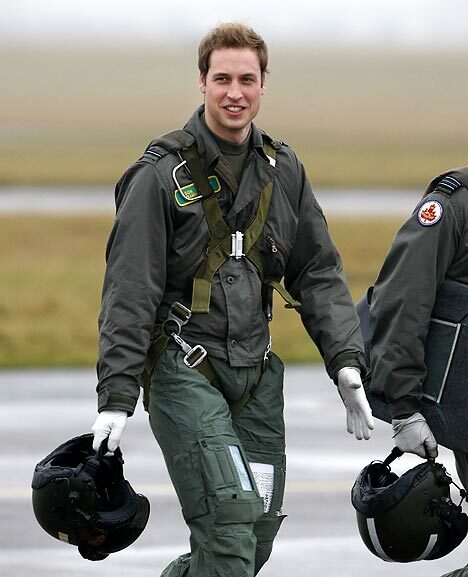 HRH Prince William -RAF Pilot. 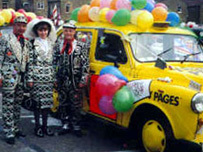 Under these conventions, The Queen’s children and the children of The Prince of Wales,The Duke of York and The Earl of Wessex are titled Princes or Princesses and styled Royal Highness. 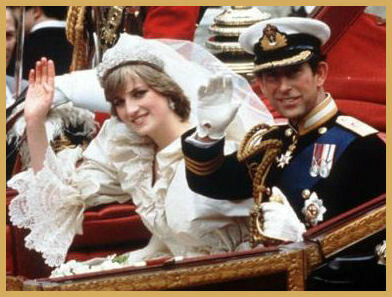 However, upon Prince Edward’s marriage in 1999, it was announced that his children would be styled as earl’s children, but no Letters Patent were issued to deny them their princely status or HRH.The Duke of Gloucester,The Duke of Kent,Princess Alexandra,the Hon.Lady Ogilvy, and Prince Michael of Kent enjoy the titular dignity of Prince or Princess and the style Royal Highness as male-line grandchildren of George V. However, none of their children has a royal title. For example, the children of Prince Michael of Kent are known as Lord Frederick Windsor and Lady Gabriella Windsor, the courtesy titles as children of dukes. They are not entitled to any royal title. The children of The Princess Royal, Princess Alexandra and the late Princess Margaret,Countess of Snowdon, are not entitled to any royal title since princesses do not transmit their titles to their children. An exception to this rule was when George VI issued Letters Patent such that his heiress presumptive, Princess Elizabeth, could transmit her title to her children. Princess Margaret’s son enjoys the courtesy title Viscount Linley as the son and heir of the Earl of Snowdon, while her daughter enjoys the courtesy title Lady. The children of the Princess Royal and Princess Alexandra have no titles, because Mark Phillips and Sir Angus Ogilvy did not accept hereditary peerages upon marriage. 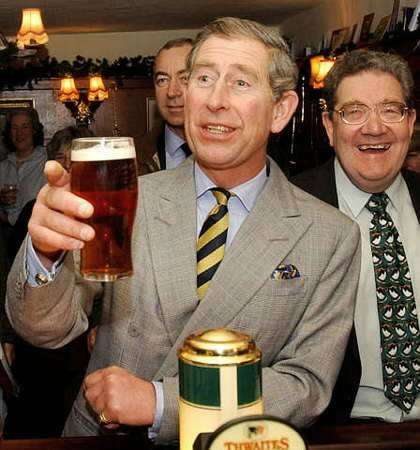 HRH The Prince of Wales visiting a British Pub. 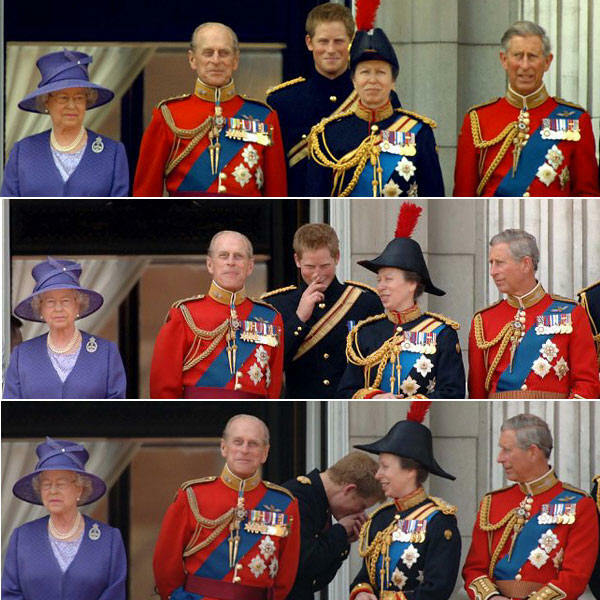 The British Royal Family-the sense of humour. It should also be noted due a reluctance by the public to universally support the second wife of The Prince of Wales, it has been announced by Clarence House that should The Prince of Wales become King, that his wife HRH The Duchess of Cornwall will not be known as HM The Queen but will take the lesser title of HRH The Princess Consort. 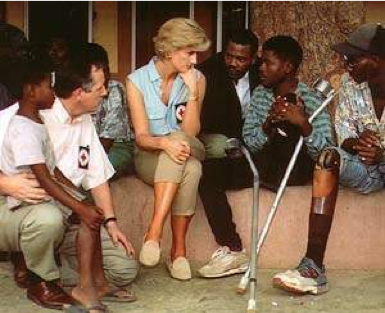 Out of respect for Diana, Princess of Wales, it was also announced that HRH The Duchess of Cornwall would not be known as HRH The Princess of Wales. As grandchildren of the Sovereign through the female line, the children of the then Princess Elizabeth and The Duke of Edinburgh would not have been entitled to use HRH or Prince or Princess of the United Kingdom until their mother became Queen, had those titles and styles not been granted in Letters Patent of 22 October 1948. They could neither be styled HRH Prince or Princess of Greece and Denmark through their father, as the Duke of Edinburgh had renounced these use of these royal titles and styles. Their highest styles would therefore have been the Earl of Merioneth and Lady Anne Mountbatten. Female consorts of the Sovereign have generally not been created peers or peeresses. A notable exception occurred in 1532, when Henry VIII created Anne Boleyn Marchioness of Pembroke before marrying her. Male consorts, however, have sometimes been granted dukedoms. The husband of Mary I was already King of Naples, and that of Mary II was jointly Sovereign in England, so neither of them received peerage dignities. Prince George of Denmark, the husband of Anne (later Queen Anne), was created Duke of Cumberland in 1683 . Victoria’s husband,Prince Albert of Saxe-Coburg-Gotha, was given the style Royal Highness before his marriage. In 1857, Queen Victoria granted him title of Prince Consort; however, Prince Albert was not made a British peer. Prince Philip, husband of the present Queen, was created Duke of Edinburgh and granted the style Royal Highness the day before his wedding (which occurred prior to her accession). Generally, the sons of the Sovereign are awarded peerage dignities to mark either adulthood or marriage. Originally, younger sons of the Sovereign were not styled Princes (except the Prince of Wales); thus, in order to indicate their exalted rank, peerage dignities were conferred upon them. From the time of Edward III, nearly every son of a Sovereign surviving into adulthood became a Duke. 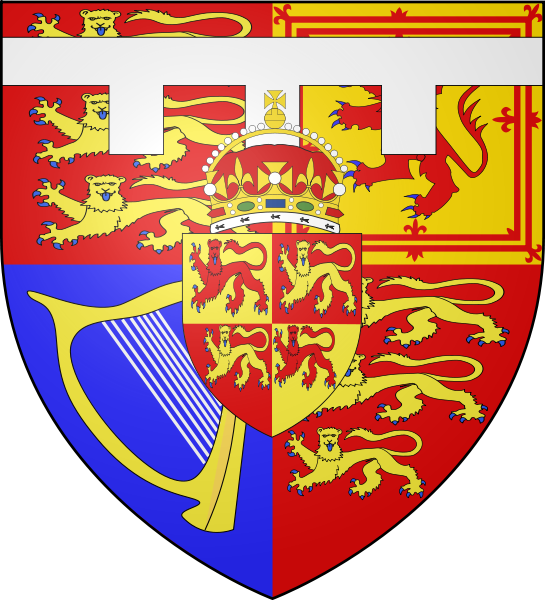 Certain dukedoms were granted more often than others, including the Dukedoms of York,Albany and Clarence. Normally, a peerage once awarded to a member of the Royal Family is not thereafter granted to any person outside the Royal Family (though some exceptions do exist). The Dukedom of York is generally created for the second son of the Sovereign. The first creation was in 1384; the dukedom merged in the Crown in 1483 . Every Duke thereafter has either died without heirs or succeeded to the Crown, and so has not been able to leave the Royal Family. The pattern of awarding the dukedom to the second-eldest son of the Sovereign was upset by George I, who gave the Dukedom of York and Albany to his younger brother. The Dukedom of York and Albany was next granted by George II to the second son of his son, who had predeceased him. York and Albany featured one last time as a dukedom in 1784, when George III granted it to his second son. Thereafter, the dukedom has always borne the designation York, rather than York and Albany. The current duke is The Prince Andrew, second son of Queen Elizabeth II. 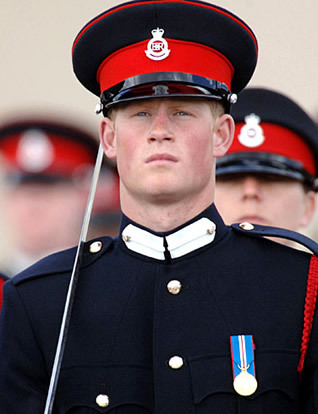 There are several other dukedoms that have been used for members of the Royal Family. Clarence was first used as a dukedom in 1362, most of the time being granted to the third son of the Sovereign. 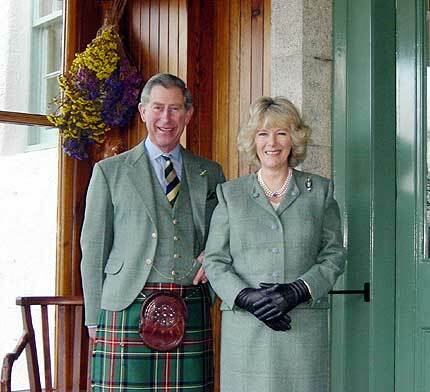 Among the dukedoms granted to still younger sons of the Sovereign are Cambridge, Connaught, Cumberland, Edinburgh, Gloucester, Kent and Sussex — others in the Scottish peerage have included Ross and Kintyre. Some of those dukedoms were used for younger brothers, nephews and other kinsmen of Sovereigns. The dukedom of Windsor was also a Royal dukedom, being granted to Edward VIII after he abdicated so that he could marry against the tenets of the Church of England. 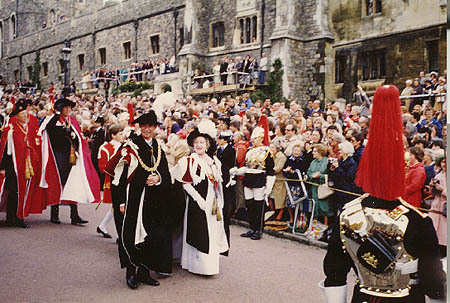 The convention of granting dukedoms to senior members of the Royal Family was broken most recently in 1999, when The Prince Edward was created Earl of Wessex. The Earldom of Wessex had not been created earlier by an English or British Sovereign since 1066. It has been suggested that the Dukedom of Edinburgh will eventually be granted to the Earl of Wessex. The current dukedom will descend to Charles, Prince of Wales, however, and not to the Earl of Wessex. 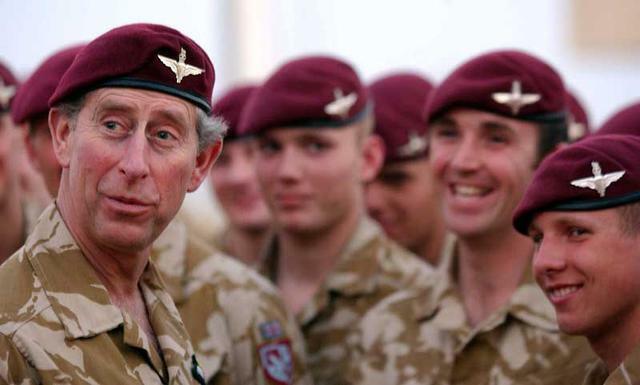 When The Prince of Wales becomes Sovereign, or if he is already Sovereign when the dukedom passes to him, the dukedom will merge in the Crown and then only become available for a regrant. 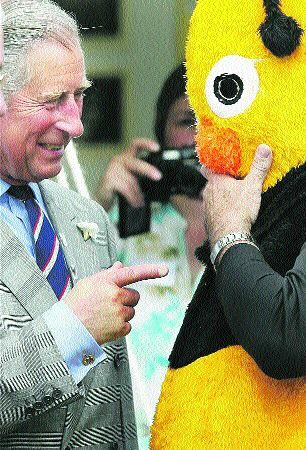 HRH The Prince of Wales Charity work. Sovereigns, especially Charles II, have sometimes granted peerage dignities to illegitimate children.James Scott became Duke of Monmouth in 1663 . Many more creations, mostly earldoms, followed in the 1670s: Charles FitzCharles became Earl of Plymouth, Charles Fitzroy Duke of Southampton, Henry FitzRoy Earl of Euston, George Fitzroy Earl of Northumberland, Charles Beauclerk Earl of Burford and Charles Lennox Duke of Richmond and Lennox. Many of the earls who were sons of Charles later became Dukes. Of the current Dukes, four are male-line descendants of Charles in the illegitimate line: the Duke of Richmond, Lennox and Gordon, the Duke of Buccleuch and Queensberry, the Duke of Grafton and the Duke of St Albans. 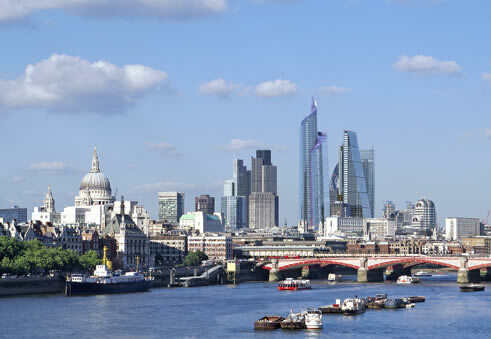 The current Royal Family divide their time between various country homes and Palaces, and the Great City of London.The City of Charlie Chaplin,the Pearly Kings and Queens,the thriving multi-cultural,multi-ethnic melting pot and business heart the City of London. Her Majesty Queen Elizabeth II is known to much favour Windsor castle,which is near to London and the present heir to the throne Charles,Prince of Wales on the death of his much loved grand mother,to favour her former home Clarence House in the Mall. 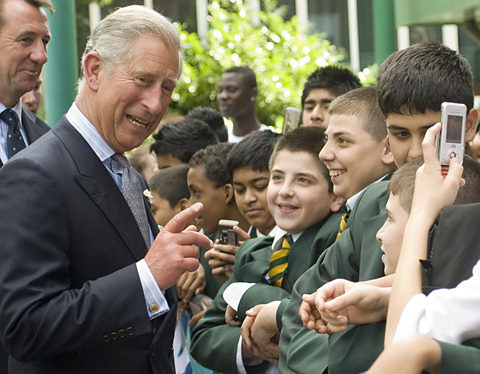 The Prince of Wales takes an active part in the modern society of the Kingdom and London through his charitable undertakings, his championing of architectural and enviromental causes such as Climate change and Business in the Community.